Security and risk management leaders must cut through the hype about machine learning and AI to understand the emerging types of machine learning available and the use cases appropriate for each method. This research will help guide sound investment decisions that can improve overall fraud results. 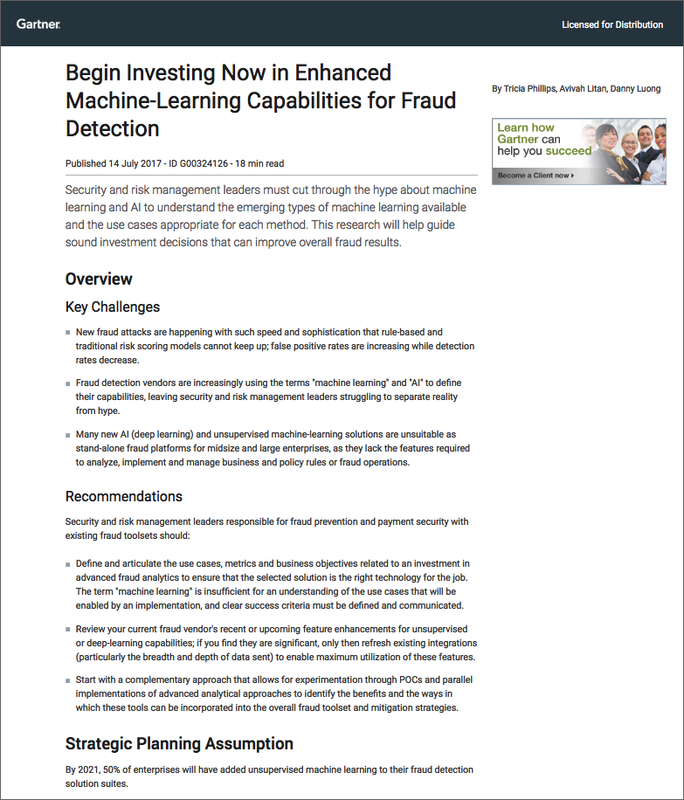 The types of machine learning used in Fraud Prevention and what each is suitable for. Upgrading hardware with your current platform might give dramatic acceleration. Starting with complementary implementation, rather than rip and replace.